Silvia Christoph's soulful voice has stirred German audiences for many years. Among only a few of the successful artists who have recognized her talent and with whom she has collaborated are Udo Juergens, Udo Lindenberg, Vicky, Roland Kaiser, and Frank Zander. By the time Silvia was seventeen her heart began to feel the beat of a different sound, the Beatles, rock and soul. Still it took several years for her to complete her graphic design education before she could dedicate body and soul to rock and soul. In 1977 Silvia was startled out of a deep sleep by a friend with the words, "If you do not immediately call this band I will never speak to you again.” Within days she had joined the 11 person Jazz-Funk-Latin group called Airship. It was during this time that Silvia met the Uruguayen guitarist Carlos Mieres. They were married and for the next 11 years she was known as Silvia Mieres. In 1980 Silvia became the lead singer of the female rock band Insisters and was introduced to New Wave, German lyrics, punk-rock, star photographer Jim Rakete, Berlin’s 24,0000 seat amphitheater “the Waldbühne”, flipped out musicians and groupies and in general the craziness of a pop-star with all the trappings associated with it. For example, The Berliner Rock Circus. Six famous German bands (Ideal, Morgenrot, PVC, Tempo and "Z, as well as the Insisters) together in one bus on tour. Wild! For Silvia and everyone on board it was an unforgettable German version of the “Magical Mystery Tour”. It was also the right moment for an all female band like the Insisters because it was just what the media, TV and films were wating for. Some of the bands songs were even covered in the DDR (East Germany). spectacle titled “Iron Girl”. The complete stage design, including slide show and light concept, as well as its unusual comic book promotional material, were created by Silvia. Musically the event gave her the chance to sing with two of the best jazz/soul vocalists in Germany, Ackie Murray and American Jocelyn B. Smith, She also contributed a several songs performed to the show. In 1984 Silvia was selected to represent Germany at the Golden Kite World Song Festival held in Kuala Lumpur. Shortly thereafter she founded the band Number Nine. For the next four years she performed the music she loved with English lyrics and her own melodic rock songs composed together with keyboardist Johannes Fuchs. In 1990 as a member of the nationally recognized Reineke Fuchs-Ensemble directed by Doris Heiland Silvia made forays into rock-theater. She was a featured star in Sehnsucht nach Wüste (Desire for the Desert), Rabenschwarz (Black As A Raven), Pflasterhymnen (Anthem of the Pavement) and Cinderella, which was performed in Portugal. 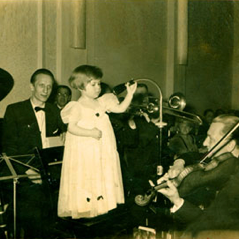 For half a year she appeared in over 130 performances of the Revue Unsere Republik, at the Berliner Tribüne, a musical covering the history of Germany from the Second World War to the fall of the Iron Curtain. Around this time Silvia entered the world of recording studios. She synchronized vocals for TV and film productions, notably Disney films such as "The Lion King", "Aladdin", "The Hunchback of Notre Dame", "Tom and Jerry", "Charlie" and *"All Dogs Go To Heaven", among others. “It was amazing to be a musician and earn real money.” It was also great to record with German, American and English acts like Lüül, Heinz Glass, Volker Heller, Miko, Martin Moss, She's China, Christian Kneisel, John C. Barry, Ted Pierce and Ron Spielman. Since then Silvia has appeared with Gom Jabbar, She´s China, Heinz Glass Band, Cocker Cover-Band, Pete Wyoming Bender, Ron Randolf, Miko, Udo Lindenberg, Pecks is Food, Ackie Murray, The Deep, Frank Dietz, Franz deByl, Motown Lovers, Keith Tynes, Jocelyne B.Smith and Kieler Sprotten. Since 2006 Silvia has sung with the Wayne Grajeda Band and continues the search for new and interesting projects.